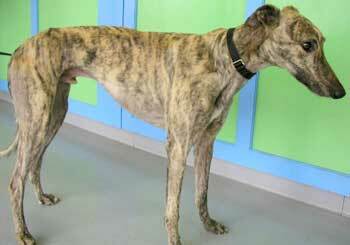 Fred, aka Bobbye's Bigdate, is a handsome light brindle 3-year-old male, born January 29, 2000. Fred is one big loveable baby who could be called the gentle giant. His racing career was from October 2001 to January 2003, and it ended with an injured toe that goes out of joint. That surely won't be a problem for his retirement life as a couch potato! 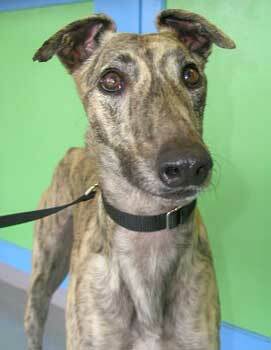 His disposition is calm and sweet, and he gets along well with other dogs, large and small. It is not known at this time if Fred is cat tolerant.